Aston Martin after Mike's detailing class! 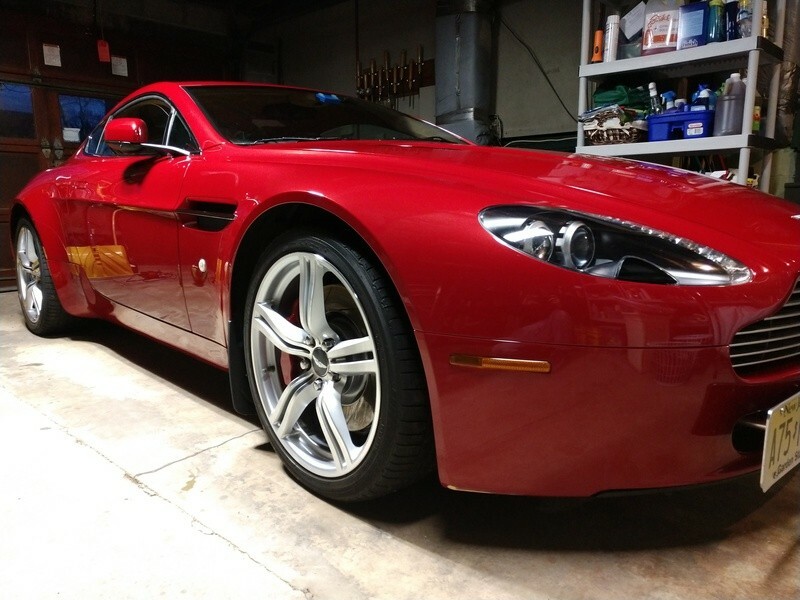 Thread: Aston Martin after Mike's detailing class! 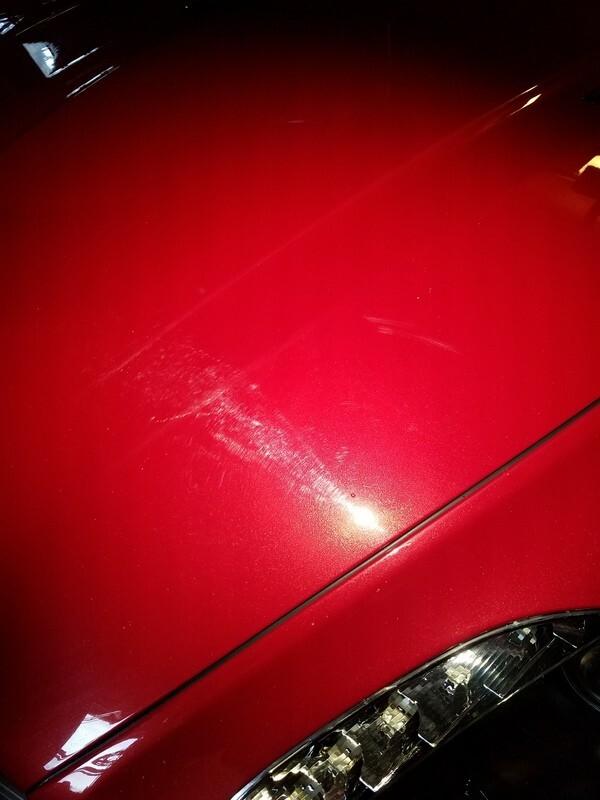 I attended Mike's detailing class just 2 weeks ago. Since then I have worked on a few good cars in my spare time (detailing is not my main job) but obviously working on an Aston Martin is huge and exciting! Once properly washed and clay bared can tell the previous owner only tunnel washed the poor car! 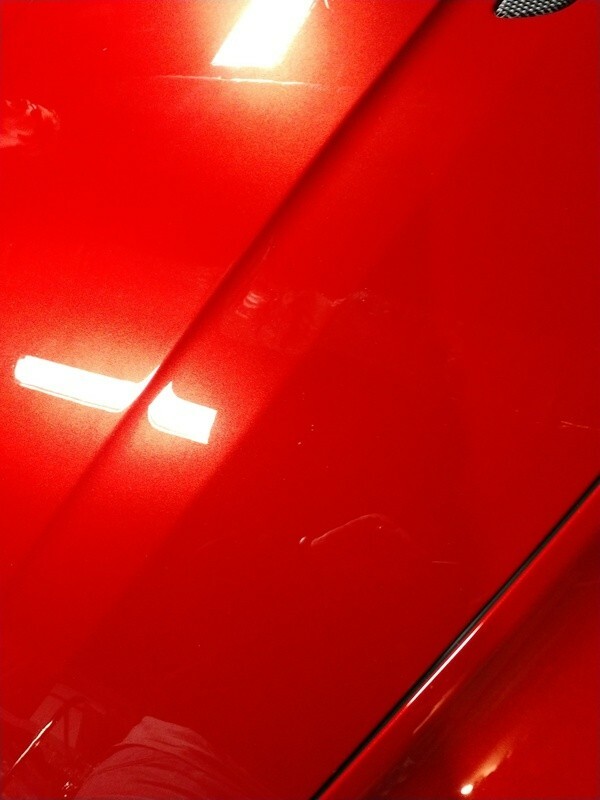 Without a paint thickness tester I stayed light on the polishing and got 90% of the scratches/ swirls out. Sorry not many pictures, was a very enclosed area for washing in there yard and a tight garage. By the time was done was dark and starting to rain and this garage did not have much room. I will try Friday to get better pictures as car is supposed to be out that day. 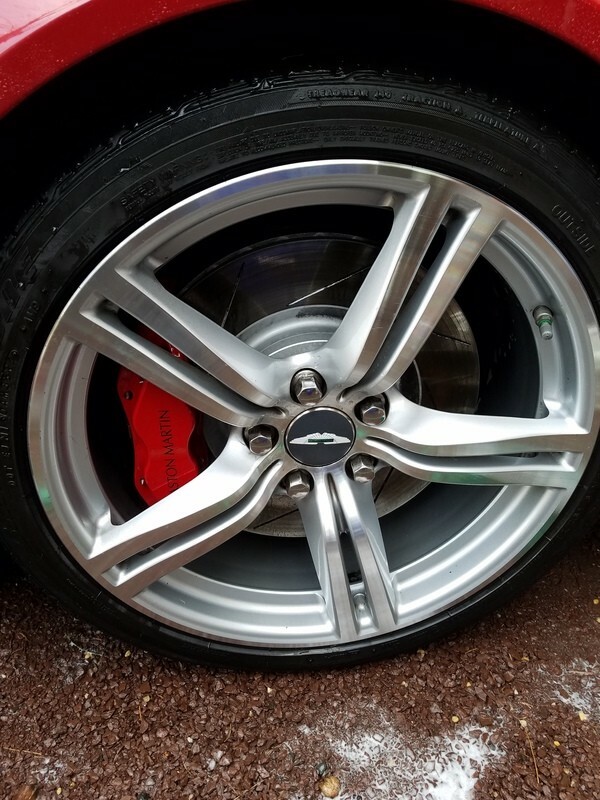 Had a Flex 3401 and a Griots 3"
Re: Aston Martin after Mike's detailing class! Beutieful deep red finish you got on it! Thank you! 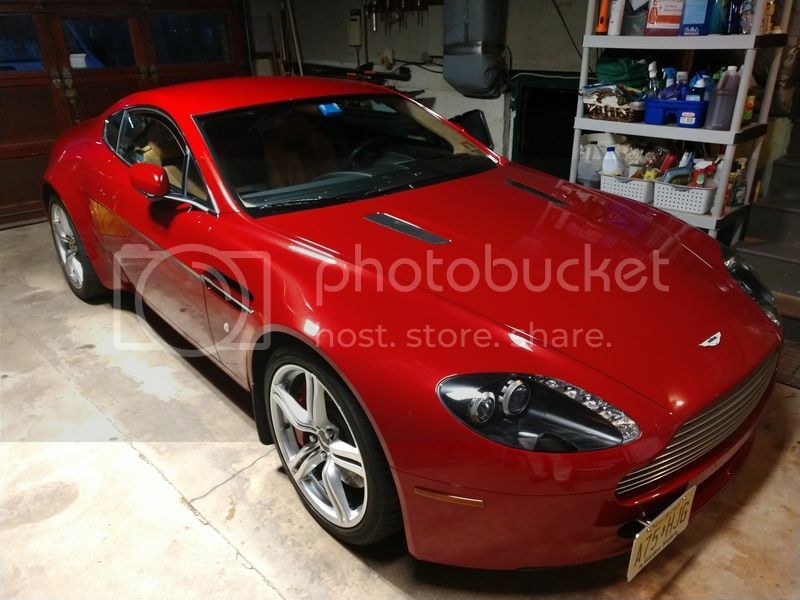 The guy that owns the car says that it is the only 2009 Vantage in the country with that red color on it. Said that was supposed to be a DB9 only color for that year but original owner paid a lot of extra money to order that color from the factory. Nice job--I see you are from here in NJ, whereabouts? I attended Mike's detailing class just 2 weeks ago. Since then I have worked on a few good cars in my spare time (detailing is not my main job) but obviously working on an Aston Martin is huge and exciting! Nice work Andre! And very cool car to detail! A quick search on Kelly Blue Book shows this car to be valued between $40,000.00 and $60,000.00 depending upon condition, mileage and options. For those reading this thread into the future, here's the class Andre attended it like all our classes, it was 100% hands-on and the people attending were able to not only use hundreds of tools and products but they also were able to work on some AMAZING cars! I took the liberty of downloading your pictures and then uploading them into your free gallery here. I looked at the code in your post and noticed you were using Photopost to host your pictures. I think I have 5-6 articles from over the years warning people about using Photopost as a hosting website because sooner or later all your pictures will disappear. Members of Autogeek can use the Autogeek gallery for free and as long as Autogeek is in business, the gallery should be safe. Thank you Mike! 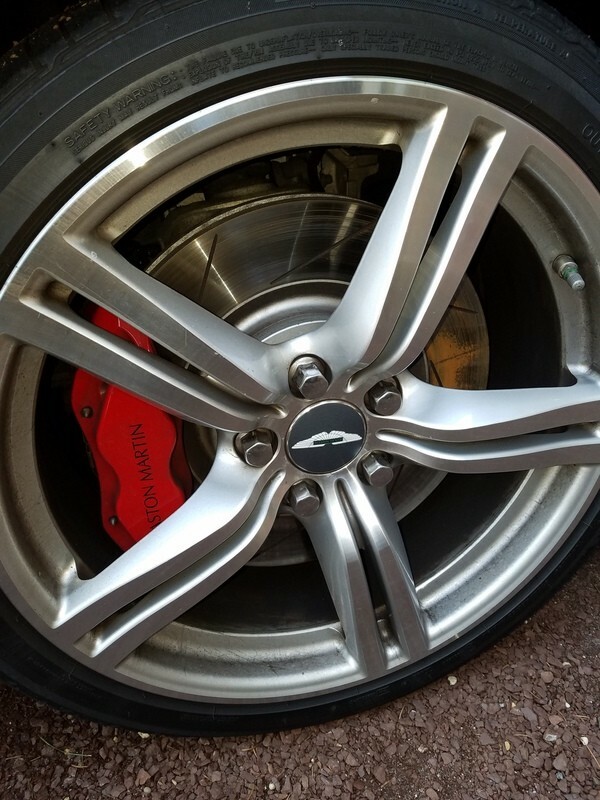 I was really happy being able to work on and paint correct an Aston Martin! I hate photobucket but one of those things I have used it for years so just was use to it. Last night took like 30 minutes to upload to photobucket but only platform I know how to img tag stuff. I am excited to up load to the new gallery you setup here for me instead of photobucket! Cool, I'm a ways north of there. Very nice work! It turned out extremely nice! Looks great!